Ellpedia is a private metasearch engine based on Google and Bing. •Ellpedia is a private metasearch engine based on Google and Bing. •Ellpedia doesn’t collect what you search for or provide personalized result. Also, it never shares anything with a third party, and it can’t be used to compromise you. 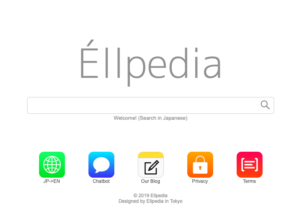 •Ellpedia is hosted in Japan and it offers its service in Japanese and English. 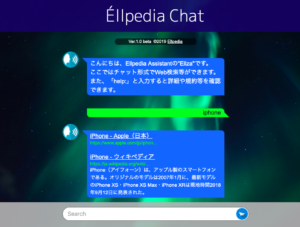 •Ellpedia also offers Ellpedia Chat which is a metasearch engine you can use like messaging apps. There is only Japanese version yet, but we have been developing English version. Please wait for a little while longer. *Ellpedia is a personal project.